DOBSON, Austin. 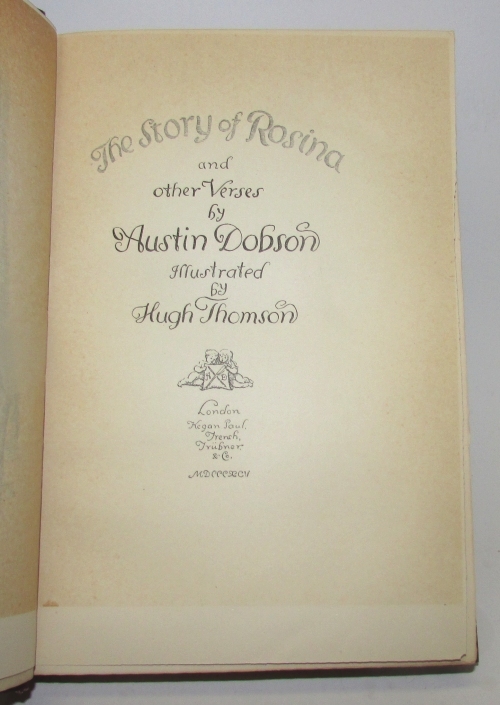 The Story of Rosina and other Verses. 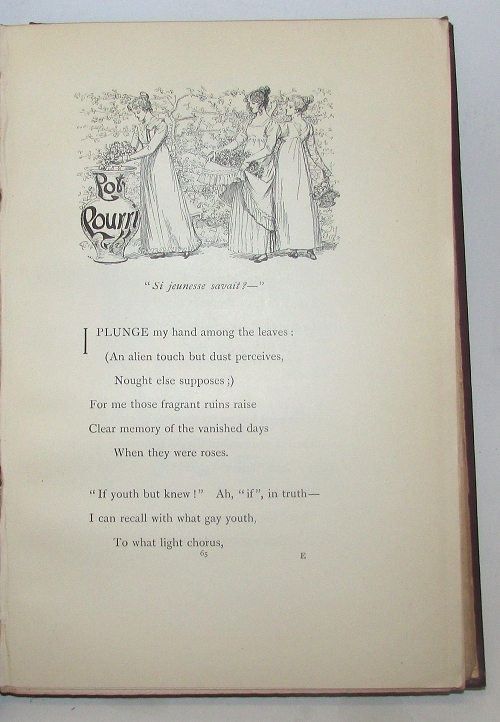 Illustrated by Hugh Thomson. (London): Kegan Paul, Trench, Trubner & Co., 1895. Cranford series. 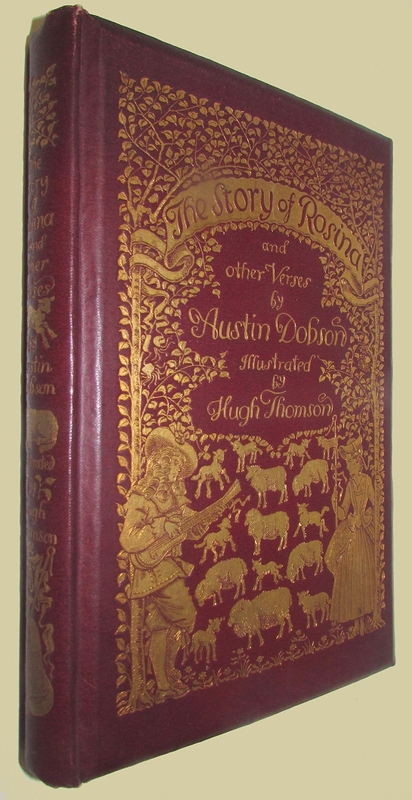 8vo., original wine cloth with pictorial illustration in gilt on the upper cover and spine, A.E.G. Bookplate otherwise a fine copy.